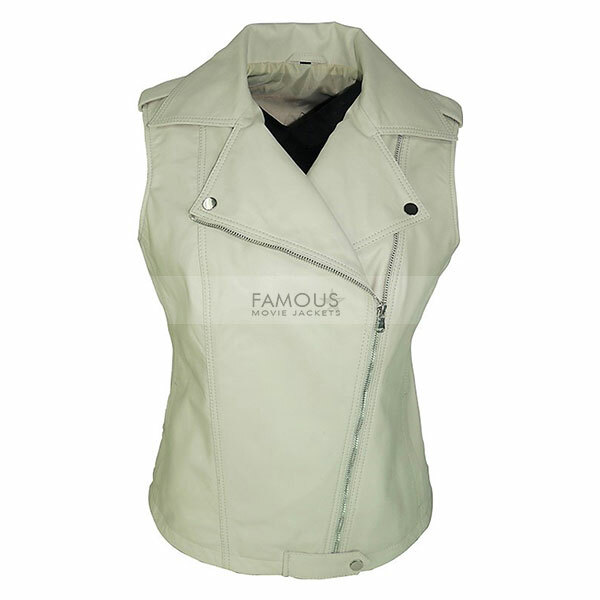 Enjoy your eye-grabbing appearance by picking up this most sophisticated vest which is the most stylish and refined creation of Famous Movie jacket. We propose high quality jackets in reasonable prices. This fashion wear is made of high quality leather material externally with viscose inner lining. It is available in white color and is hottest vest. It comes up in lapel collar and front YKK zip closure. 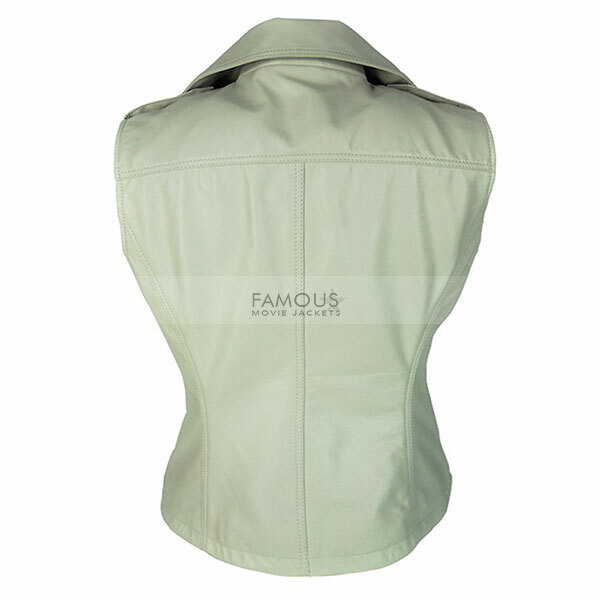 The jacket is elegant enough to be worn not only is casual events but in formal occasions as well. It goes perfect to have a modish biker look. Shop this jacket before it goes out of stock. Material: Real Leather / Faux.